How To's Seasonal Trends Ultimate Guide To.. Written by: Bronwen Collins | March 25, 2019. Do you know what Stormzy loves to wear? Adidas tracksuits. Seriously, the man cannot get enough of adidas Originals and their stylish but comfortable tracksuit bottoms and tops. He even has his own collaboration with Adidas with the #Merky range. So, the best way to recreate Stormzy’s style is, by far, to invest in some timeless Adidas; whatever the occasion. Though it’s rare to catch the grime star wearing the same tracksuit twice, so if you’re really looking to dress like the rap star then your wardrobe must boast at least one alternative. Another titbit about Stormzy’s style is how simple his outfits can be. 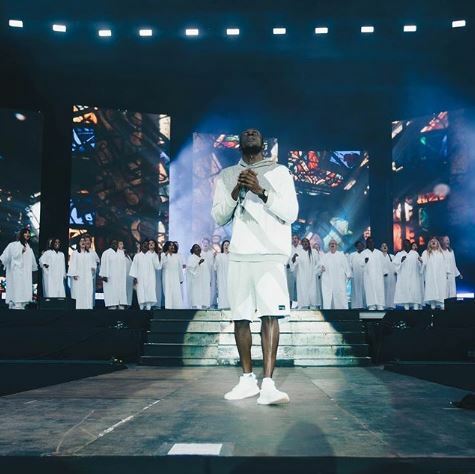 Unlike other rappers hoping to make an impact with wild fashion choices (looking at you Khaled), Stormzy isn’t afraid to keep things mellow, often opting for jeans and a white t-shirt or jumper. 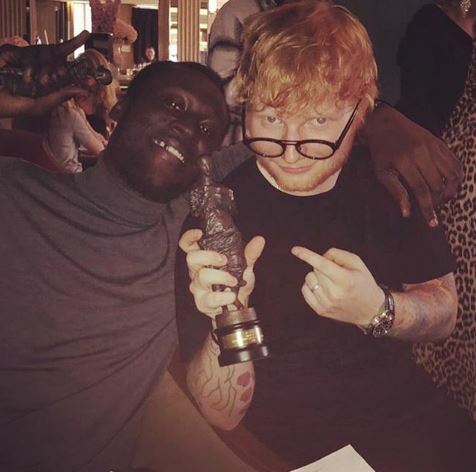 Our prime example is below where Stormzy is looking pretty casual in a grey turtleneck while he sits next to some red-headed bloke. Our take away from this? Don’t worry about dressing to impress. Dressing simple and having the confidence to go with it is often a much better route. Sure, Stormzy is 6ft2 with major celebrity status, which probably helps the whole “confident but casual” approach somewhat; but as long as you stand up straight, we’re certain you can pull this look off. Now that your outfit is looking crisp, it’s vital your footwear follows in the same pattern. Adidas Superstars have been a popular choice throughout the ages, despite first appearing way back in 1969 – three years after England’s only World Cup win. We can understand why Stormzy likes them; they’re durable, lightweight and go together with a tracksuit like Adam and Eve. It’s best for your Superstars to be a basic colour; white with black stripes being the infamous superstar colours and ones that Stormzy has been spotted wearing on stage. They also work wonders with the plain white tee mentioned above. 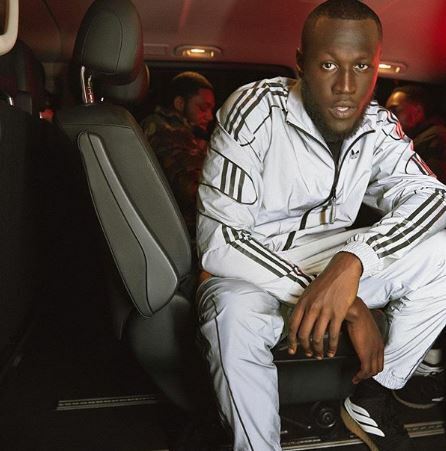 So, what are our takeaways from Stormzy’s style? Mainly: Adidas. From tracksuits to trainers, this is the brand to invest in if you feel like dressing similar to the gregarious grime artist. But we also have to appreciate his relaxed attitude to fashion and the confidence Stormzy pulls off even when he’s opting for a simple tee or jumper.